Since time immemorial, honey has always been a favorite to most people, and in ancient times, it was used for food and also medicine. Besides its incredible taste, honey boasts a long string of benefits which is why it is always on the top five list of power foods. It is one of the oldest and also natural sweeteners on earth, and new benefits of honey are discovered with each dawn. So if you aren’t a fan, then you are missing out big time. However, go through the following list of honey benefits, and maybe you might end up a believer. Ever had that wound which won’t go away yet you’ve been on almost all meds you can recall or lay your hands on? If yes, then honey would have come in handy. This is one of the most known benefits of honey, and its application in treating wounds dates back to the 20th century and is backed up by scientific experiments so it’s a fact you can believe in. How does it promote healing in wounds? 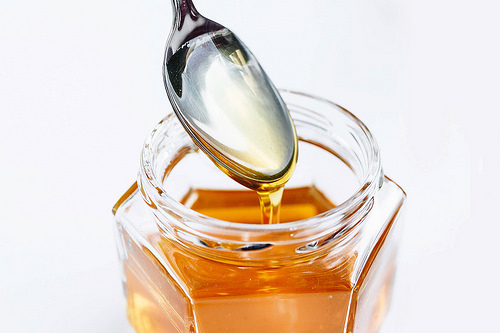 Well, honey boasts antibacterial, antioxidant and antifungal properties which when applied on a wound, create some coat on the injury preventing bacteria from penetrating which means the sore spreads less while the antioxidants promote faster healing. On the other hand, its antifungal properties avert odor thus when the three elements are combined, you are assured of rapid healing. It is applied directly on the injured part, and the dressing should be changed every 24 to 48 hours. Do you have problems sleeping? Do you frequently have those nights when all you want to do is relax and rest, but your mind is mocking you by staying wide awake? If you happen to be in such a predicament then we are glad to break this piece of news to you; honey will help. According to research, taking raw or unrefined honey before bedtime often triggers the release of melatonin as it tends to increase the amount of insulin in your body. This in return stimulates the brain neurons to release tryptophan which is converted to serotonin and finally melatonin a hormone which initiates sleep. Hundreds of women and even a certain percentage of men today, spend thousands of dollars trying to battle skin breakouts when all they need is natural honey to help them say goodbye to acne and hello to smooth skin. If you are wondering how don’t worry we are about to put the question to rest. One of the many properties of honey is that it is antiseptic. What does that have to do with your acne? Well, it releases low amounts of hydrogen peroxide which disinfects your skin and opens up your pores. It also boasts excellent anti-inflammatory properties which help prevent the inflammation and swelling caused by acne. Also, it is a natural humectant which in a lay man’s language means that it preserves moisture in your skin thus if you have dry skin it can help you with that and prevent peeling. So say goodbye to skin problems today by adding honey to your skin care product list. If you lead an athletic lifestyle, then you will genuinely need honey in your cabinet or gym bag because it will come in handy during workouts. If you are the kind of person, who gets tired easily taking honey before you hit the treadmill or lift weights offers you a surge of energy and what’s even better is that it lasts longer than other energy made from carbs. Reason being it contains about 18% minerals and vitamins, 2% protein and on top of it all 80% natural sugar. That means unlike other sources of energy which undergo complex metabolic processes before they can finally offer energy, honey is quickly absorbed thus fueling you faster and efficiently. To sum it up, honey is excellent when taken in the morning as it boosts the energy levels required to face the day ahead. When most people hear about this for the first time, they tend to wonder how it is possible yet it contains sugar itself. Well, the difference is, honey does not contain complex sugars such as the ones available in artificial sweeteners or white sugar. Instead, it has simple ones such as fructose which is known for their ability to control /regulate blood sugar levels hence reducing the risk of diabetes. There are so many benefits of honey such that if we began highlighting them, it would take us forever. However and in a nutshell, these are just some of the long string of benefits available which is why you should ensure you have at least a small bottle of honey in your house.